Buy 1 for $28.95 ea. Buy 2 for $25.45 ea. Buy 3+ for $18.95 ea. 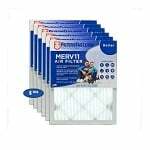 You Choose how often you want your filter and we take care of the rest. 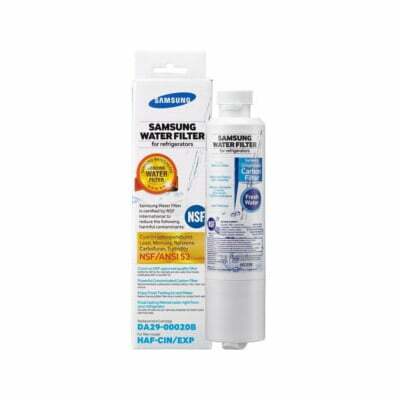 Hailed internationally as one of the optimal-selling refrigerator ice and water filters, the Samsung DA29-00020B traps contaminants before you can drink them. Designed to meet strict NSF standards for water purity, this filter uses both mechanical and chemical filtration to provide better tasting drinking water and ice. The Samsung HAF CIN should be replaced when the filter indicator light turns red (about every 6 months) or when you notice a decrease in the flow of water. You refrigerator model might not be listed. To check compatibility refer to the manufacturer. 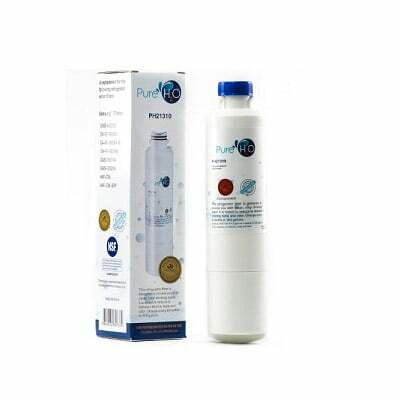 The PureH2O PH21310 is the compatible replacement refrigerator water filter for the Samsung DA29-00020B, EcoAqua EFF-6027A, and Water Sentinel WSS-2. The PH21310 features a durable exterior casing and an internal coconut carbon filter media that reduces and/or removes chlorine taste and odor from your drinking water. Its powerful 0.5 micron rating also eliminates particles and turbidity (cloudiness and haziness) found in your water. The PH21310 should be replaced every 6 months for optimal performance and efficiency. PureH2O is a Filters Fast brand product Certified for NSF Standard 42 and approved for the WQA Gold Seal. It verifies the product is made from safe and durable materials with claims backed by test data.